Gubernatorial candidate Joe Dorman is no longer cash-poor. Dorman, a Democratic state representative from Rush Springs, is challenging Gov. Mary Fallin, the Republican incumbent. Political experts have said Dorman can’t beat Fallin partly because he wouldn’t be able to raise enough money to compete. And indeed, at the end of August, Fallin’s campaign war chest had more than $1.3 million compared with Dorman’s $142,000. But the money picture has changed. 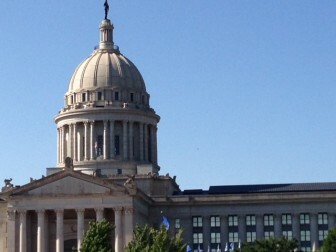 On Wednesday, Dorman told Oklahoma Watch that his campaign would report later this month that it has raised more than $1.3 million for the year. About $200,000 of that came through social-media outreach, he said. On Aug. 18, Dorman’s campaign reported it had raised a total of $655,208, spending all but $143,605. Dorman said his October report would show his campaign has raised close to $650,000 since that report. “We’re close to $1.4 million,” he said. Fallin’s campaign reported in August that it had raised a total of $3.3 million, spending all but $1.1 million. Her spokesman, Alex Weintz, declined to say how much the governor has raised since August. “Our fundraising is on track and we will have the resources we need to stay on TV through election day and support our grassroots-led get-out-the-vote effort,” Weintz said. Both campaigns will file new fundraising reports on Oct. 27. The latest polls show Fallin retains a lead over Dorman. Fallin and Dorman have received support from several high-profile contributors. For example, former University of Oklahoma football coach Barry Switzer and his wife Becky recently hosted a campaign reception for Fallin. However, Dorman said his soon-to-be-filed campaign report will show a $2,000 contribution from the retired coach. Both Fallin and Dorman recently participated in a one-hour televised debate, hosted by Oklahoma State University. Weintz said the governor’s campaign staff helped Fallin prepare for the debate. Dorman turned to some former Democratic occupants of the seat he wants: Brad Henry and David Walters, who joined in the preparation with Dorman’s staff. A monument bearing the 10 Commandments was vandalized and broken in several pieces Thursday night after being struck by a car.